The Berkeley County Sheriff's is looking to identify two suspects who were caught on camera stealing an ATV from a motorcycle dealership in Ladson | Crime Stoppers of the Lowcountry: 554-1111 | 1-888-CRIME-SC | Anonymous tips earn cash rewards with Crime Stoppers of the Lowcountry. The Berkeley County Sheriff's Office is looking to identify two suspects who were caught on camera stealing an ATV from a motorcycle dealership in Ladson. 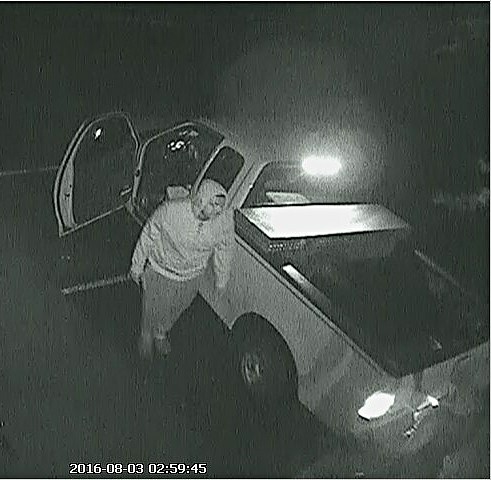 The theft happened at the Velocity Power Sports on Gateway Drive on Aug. 3. 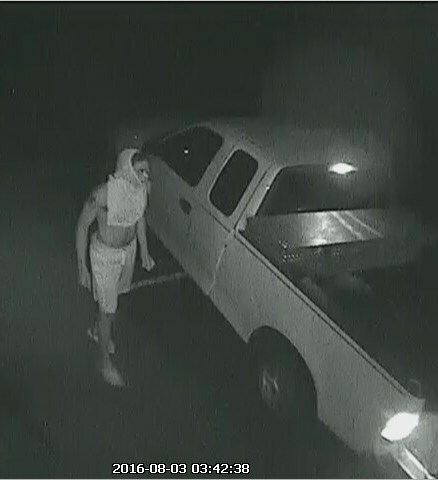 BCSO officials said two male suspects driving a white 1997 – 2003 Ford F-150 extended cab pickup truck tore down a fence at Velocity Power Sports and stole a blue and white 2016 Yamaha Raptor 700 ATV valued at $7,000. "Although the suspects attempted to cover their faces, surveillance video shows a unique tattoo on the right bicep of one of the suspects," BCSO officials said. "Detectives are hoping that someone will be able to identify the two individuals from still images created from the surveillance video." Detectives are asking anyone who may be able to identify either of the individuals in the images to contact the Berkeley County Sheriff’s Office at 843-719-4412 or Crime Stoppers of the Lowcountry at 1-888-CRIME-SC (1-888-274-6372).